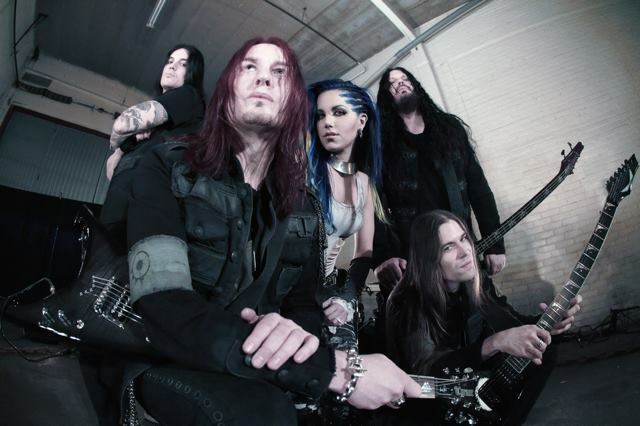 In early June 2014, ARCH ENEMY will unleash their 9th studio album, War Eternal, worldwide via Century Media Records and Trooper Entertainment in Japan. With this upcoming release, the band will introduce a new member to their ranks: Alissa White-Gluz, former vocalist of Canadian extreme metallers THE AGONIST. Angela Gossow, who joined ARCH ENEMY in 2000 and made her debut on the now classic Wages Of Sin (2001), will be stepping down as front-woman and focusing on management, while Alissa takes her place. I am staying true to my heavy metal roots, just leaving the spotlight so to speak. I am passing the torch to the super talented Alissa White-Gluz, whom I’ve known as a dear friend and a superb vocalist for many years. I always thought she deserved a chance to shine – and now she’s getting it. Just like I got that chance back in 2001. I want to thank all ARCH ENEMY fans, our labels Century Media (worldwide) and Trooper Entertainment (Japan), our dedicated road crew, and in particular Michael, Daniel and Sharlee for their love and support throughout all these years. It’s been one hell of a ride! We conquered every situation, made it through thick & thin together in the most exciting and rewarding time of my life. Thank you all for being there with me on stage, in front of the stage, and backstage. You have touched my heart, and I hope I was able to give something back to you. I am grateful for the wonderful memories – I will cherish them forever! On March 20th, ARCH ENEMY will present the video for the album’s title track, “War Eternal”. Stay tuned.